Check out Tobi's Atom Puffer Jacket Get toasty in The Fifth Label's Atom Navy Multi Puffer Jacket. 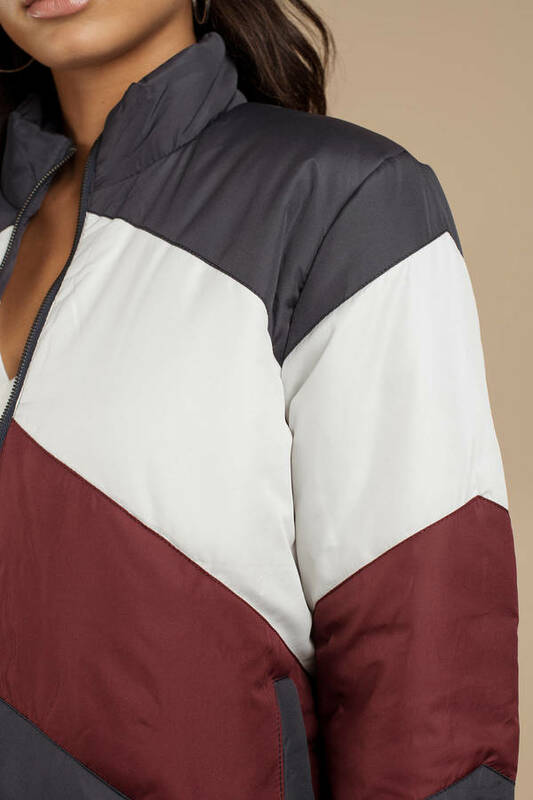 This short puffer jacket features a retro-inspired color block chevron pattern, puffy sleeves that lead to ribbed cuffs, an o-ring front zipper, and side pockets. 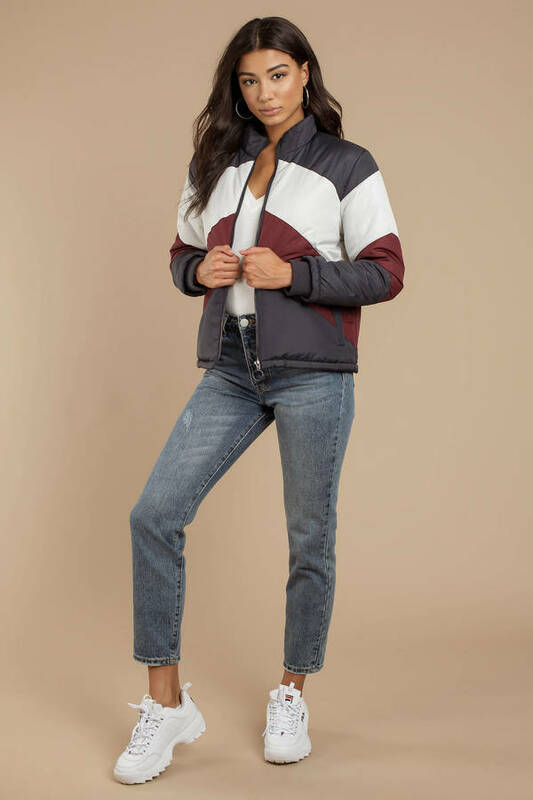 Take on that cold weather in style, and pair this chevron color block jacket with skinny jeans and booties. Get toasty in The Fifth Label's Atom Navy Multi Puffer Jacket. 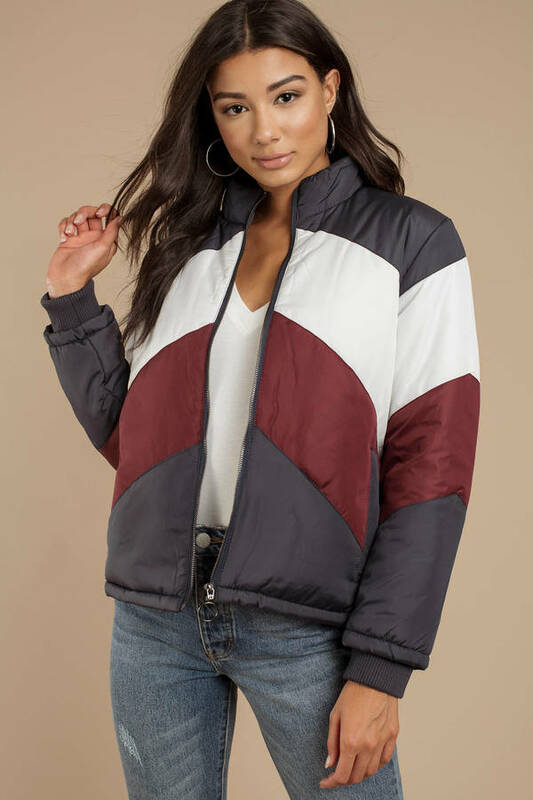 This short puffer jacket features a retro-inspired color block chevron pattern, puffy sleeves that lead to ribbed cuffs, an o-ring front zipper, and side pockets. 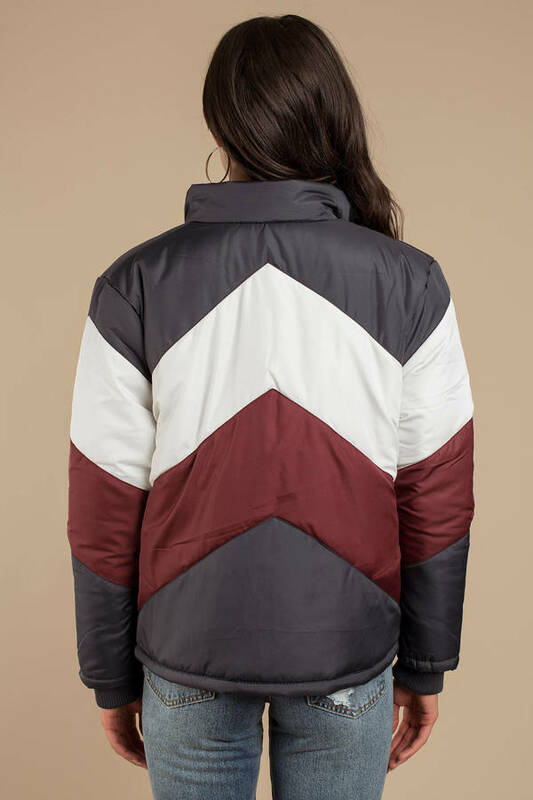 Take on that cold weather in style, and pair this chevron color block jacket with skinny jeans and booties.